PROTECTOR DE PANTALLA DE CRISTAL / VIDRIO TEMPLADO PARA MOVIL JIAYU G4S. -MATERIAL: CRISTAL TEMPLADO. <>. ANTES DE PONER EL PROTECTOR, ES CONVENIENTE LIMPIAR BIEN LA PANTALLA DEL MOVIL PARA EVITAR MOTAS DE POLVO. PROTECTOR DE PANTALLA DE CRISTAL / VIDRIO TEMPLADO PARA MOVIL JIAYU G4. -MATERIAL: CRISTAL TEMPLADO. <>. ANTES DE PONER EL PROTECTOR, ES CONVENIENTE LIMPIAR BIEN LA PANTALLA DEL MOVIL PARA EVITAR MOTAS DE POLVO. Protector pantalla Jiayu G4. Una lamina fina que te protegera de rayas y arañazos la pantalla de tu Jiayu G4. BROTECT® AirGlass® Protector Pantalla de Cristal Vidrio para Jiayu G4 JY-G4. BROTECT® AirGlass®, el Protector de Pantalla de Cristal Vidrio Premium: el colega Extra-Duro y Ultra-Ligero para tu Jiayu G4 JY-G4! 6x Savvies® SU75 Protector de Pantalla para Jiayu G4 JY-G4. Savvies UltraClear Protector Pantalla para Jiayu G4 JY-G4: Alta transparencia, protección contra arañazos, fáciles de montar. Los protectores de pantalla Savvies® SU75 UltraClear son los protectores transparentes y anti-arañazos adecuados para su Jiayu G4 JY-G4. 6x Savvies® SU75 Protector de Pantalla para Jiayu G4S. Savvies UltraClear Protector Pantalla para Jiayu G4S: Alta transparencia, protección contra arañazos, fáciles de montar. Los protectores de pantalla Savvies® SU75 UltraClear son los protectores transparentes y anti-arañazos adecuados para su Jiayu G4S. BROTECT® AirGlass® Protector Pantalla de Cristal Vidrio para Jiayu G4S. BROTECT® AirGlass®, el Protector de Pantalla de Cristal Vidrio Premium: el colega Extra-Duro y Ultra-Ligero para tu Jiayu G4S! Vídeo de Producto BROTECT® AirGlass® Protector Pantalla de Cristal Vidrio Premium - YouTube. 2x BROTECT® Matte Protector de Pantalla para Jiayu G4S. Una capa adhesiva recién desarrollada permite un fácil montaje del. Una instalación sin burbujas y sin problemas. ¡Te vas a sorprender! ¡Que lo disfrutes! 2x BROTECT® Matte Protector de Pantalla para Jiayu G4 JY-G4. Una capa adhesiva recién desarrollada permite un fácil montaje del. Una instalación sin burbujas y sin problemas. ¡Te vas a sorprender! ¡Que lo disfrutes! BROTECT® AirGlass® Glass Screen Protector for Jiayu G4 JY-G4. BROTECT® AirGlass® Premium Glass Screen Protector, the Extra-Hard and Ultra-Light sidekick for your Jiayu G4 JY-G4! Product Video BROTECT® AirGlass® Premium Glass Screen Protector - YouTube. BROTECT® AirGlass® Glass Screen Protector for Jiayu G4S. BROTECT® AirGlass® Premium Glass Screen Protector, the Extra-Hard and Ultra-Light sidekick for your Jiayu G4S! Product Video BROTECT® AirGlass® Premium Glass Screen Protector - YouTube. Jiayu G4 myShield screen protector. Give +1 armor to your phone! 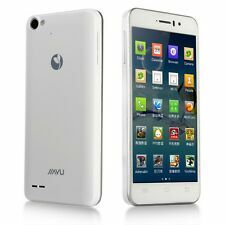 Jiayu G4 clear screen protector by myShield. We also manufacture myShield screen protectors for any phone or tablet! Will protector cover rounded corners?. Protectors are made smaller for this purpose. 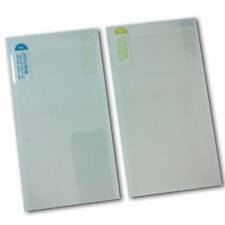 Vikuiti™ screen protector CV8 for Jiayu G4 JY-G4: Ultra clear and highly adhesive, hard-coated, residue-free removal. The film surface can easily be cleaned in most cases with a dry cloth. Marker pen ink can be simply removed. 2x BROTECT® Matte Screen Protector for Jiayu G4 JY-G4. BROTECT® Matte Screen Protector for Jiayu G4 JY-G4- Matte and anti-glare, anti-scratch, anti-fingerprint, easy to apply and residue-free removable. Vikuiti™ screen protector CV8 for Jiayu G4S: Ultra clear and highly adhesive, hard-coated, residue-free removal. The film surface can easily be cleaned in most cases with a dry cloth. Marker pen ink can be simply removed. 2x BROTECT® Matte Screen Protector for Jiayu G4S. BROTECT® Matte Screen Protector for Jiayu G4S- Matte and anti-glare, anti-scratch, anti-fingerprint, easy to apply and residue-free removable. 2x BROTECT® Matte Screen Protector for Jiayu G4S (2x Front). 6x Savvies® SU75 Screen Protector for Jiayu G4 JY-G4. Savvies UltraClear Screen Protector for Jiayu G4 JY-G4: Crystal-Clear, easy application, excellent price quality ratio. The Savvies® SU75 UltraClear screen protectors are manufactured in Germany with the latest high-precision laser machinery. 6x Savvies® SU75 Screen Protector for Jiayu G4S. 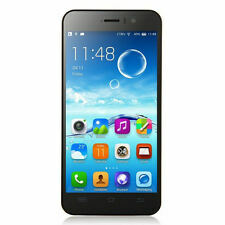 Savvies UltraClear Screen Protector for Jiayu G4S: Crystal-Clear, easy application, excellent price quality ratio. The Savvies® SU75 UltraClear screen protectors are manufactured in Germany with the latest high-precision laser machinery.